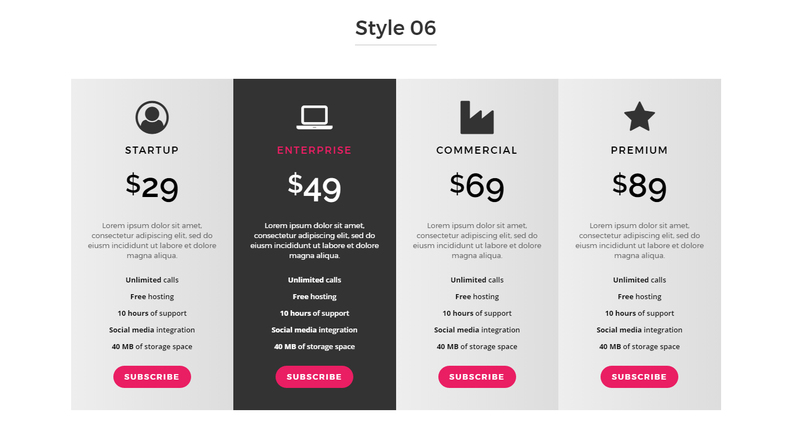 Responsive Bootstrap Pricing Table is a pack of responsive Pricing Tables. The template comes with 6 styles, 6 predefined color themes, animated hover states, possibility to set one or many columns as active (popped-up) by default, CSS3 ribbons, and three font styles. This version can be used on CMS and non-CMS websites and will work with straight HTML or PHP based websites.